Lagos – The Economic and Financial Crimes Commission (EFCC) on Thursday told a Federal High Court in Lagos on Thursday it rejected an offer for an out-of-court settlement by a former Minister of the Federal Capital Territory, Jumoke Akinjide. Akinjide was charged along with former Minister of Petroleum Resources, Mrs Diezani Alison-Madueke, who is said to be at large, a former Senator, Ayo Adeseun and a Peoples Democratic Party (PDP) stalwart, Chief Olarenwaju Otiti. They were accused of conspiring to directly take possession of N650 million which they reasonably ought to have known formed part of the proceeds of an unlawful act and without going through a financial institution. Justice Muslim Hassan had adjourned at the last proceedings to enable both parties to conclude the settlement talks with EFCC after Akinjide’s lawyer, Chief Bolaji Ayorinde (SAN) reported that the N650 million had been returned. On Thursday, EFCC’s lawyer, Mr Nnaemeka Omenwa, who stood in for the lead prosecutor, Mr Rotimi Oyedepo, said he was instructed to turn down the proposal for out-of-court settlement. “I have instruction to reject the proposal as it is not in line with the provisions of the Administration of Criminal Justice Act (ACJA). “Based on that, we are ready to go on with the trial subject to your Lordship’s overriding convenience,” he said. But defence counsel, Ayorinde and Michael Lana (second defence counsel), said EFCC’s lead counsel, Rotimi Oyedepo, breached their agreement. “We are very confident that this case is a sham and we will defend it vigorously; it is political and we will show that it’s unnecessary and a waste of time and resources of the court,” Ayorinde said. Lana also accused EFCC of breaching an agreement reached by both parties with regards to the settlement, saying it amounted to a “betrayal”. 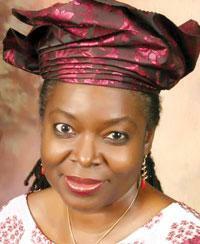 But Omenwa denied that the case was politically motivated, adding that the allegations against Oyedepo were false. “The EFCC is not a political party. We are an independent organisation and we are not out to witch-hunt anybody. “There is no documentary evidence that they had any such agreement with Oyedepo that they should withdraw their suit. There is no evidence before My Lord,” he said. In a short ruling, Justice Hassan said since settlement talks have “broken down,” EFCC was at liberty to call its first witness. The News Agency of Nigeria (NAN) reports that trial began immediately with Omenwa calling the first witness, a banker, Mr Kehinde Adeniyi, who said she is the Head of Customer Relations at her bank’s branch in Dugbe, Ibadan. She said she knew Akinjide and Adeseun. She said that they came, signed, and the payment was made in Naira and the receipt of the payment was tendered in evidence. The witness said under cross-examination by Chief Ayorinde that she made three statements at the EFCC which were also tendered in evidence. Adeniyi said she merely carried out the instructions she was given, and that she did not know the source of the funds. She added that she knew Mrs Alison-Madueke but that she did not know how the money was used. The post Alleged N650m fraud: Akinjide’s out-of-court settlement rejected, says EFCC appeared first on Vanguard News.